As documents shift from stapled sheets of paper to digital files and migrate into a myriad of cloud services, the idea of organizing them all together into one place frankly sounds like a terrible idea, and that’s because it’s hard to imagine how any sense could be made out of so much important information — that is, without dumping everything together into mountains of folders. Innovators like Evernote have emerged as an elegant way to organize thoughts and ideas, but still, our digital documents remain sprawled out across countless services and applications. This is a problem, and it’s one that doo.net hopes to solve; to intelligently organize the world’s documents with a cloud-based service that brings together multiple sources and storing them in a single, secure place. Sans chaos, that is. doo.net is launching its public beta on OS X today, following a series A round that boosts the company’s total funding to $10m. Additionally, an app for the Windows 8 Store is pending final approval and mobile apps for iOS and Android, as well as Google Docs integration, will be released over the next few weeks. According to the announcement, “doo.net automatically collects documents from your hard drive as well as from online services such as your email account via IMAP integration to allow importing of documents from attachments.” From there, all your documents are instantly tagged (through Optical Character Recognition, keywords, date extraction, etc) and are organized by categories like people, company, place and document type. Every file is backed up with OAuth 2.0 authentication and version control, letting you access everything from everywhere in a beautiful interface. In other words, if doo.net can manage to work half as well as it looks, we’ll be hearing a lot more from this company. 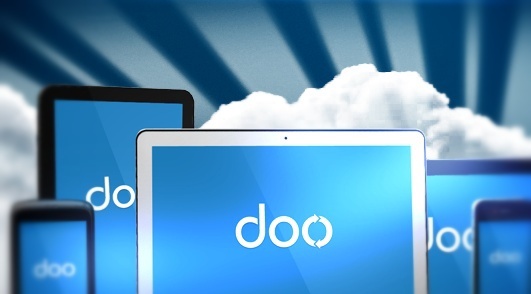 With so much planned and existing functionality, doo.net certainly has its hands full. The bet, though, is that what we’ve needed all along is a full-blown solution, not a niche service or simple storage solution. Mac users can check out the service today, so please let us know what you think in the comments below.